Panasonic P99 is among the latest smartphones released by Panasonic ,it is currently available in some parts of the world . The Panasonic P99 comes with a 5.0 inches display screen with a resolution of 144.6 x 71.8 x 8.6 mm. It runs on Android 7.0 Nougat , It's a double SIM smartphone with 4G LTE support it utilizes a 2GB RAM, Quad-center 1.5GHz processor and 16GB inbuilt storage. 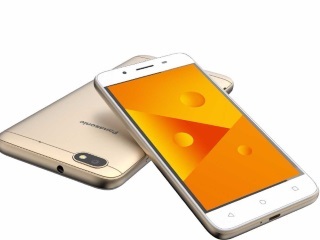 The Panosonic P99 also comes with a 8-megapixel rear camera at the back with LED flash and a 5-megapixel front facing camera in front for selfies without LED flash, the battery is a bit dissappionting as it has only a 2000mAh non removable battery. Cost About Rs7450 in India and around N40,000 in Nigeria.